The Crimson Tide notch a 4-3 victory over the Rebels in the second round of the SEC Tournament. The No. 24 University of Florida women's tennis team battled to a 4-2 victory over No. 43 Ole Miss. SEC Outdoor Track and Field Athletes of the Week. SEC announces Men's Golfers of the Week. 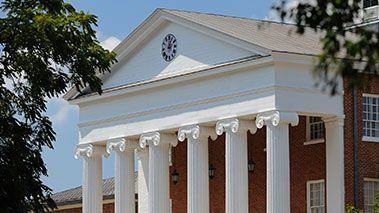 Ole Miss' Caroline Adams and Beau Briggs have been nominated for the H. Boyd McWhorter Scholar-Athlete Post-Graduate Scholarship. On a rainy afternoon, the Tigers avoid the sweep against the Rebels, recording a 5-2 victory. Senior Brittany Finney blasts a two-run home run for the Rebels in Game 1 to kick off a doubleheader sweep over Mizzou.